Why did we name the company “PassageMaker”? In nautical terms, a passagemaker is a vessel designed to make long distance sea voyages. Just as a passagemaker ship provides a safe and secure journey for its crew and cargo as it sails around the globe, our company, PassageMaker Sourcing Solutions, structures virtual offices and virtual factories in a way that protects our clients’ intellectual property, achieves their desired quality and maximizes savings despite being on the “dangerous foreign waters” of China. While our web addresses, www.PSSchina.com and www.PassageMakerSS.com are the abbreviations of our original name “PassageMaker Sourcing Solutions China”, these days we simply go by “PassageMaker” or “PM” for short. In the late 1990’s PassageMaker began sourcing metal hardware and injected plastics in China. We developed close partnerships with a number of local factories in order to provide quality products to our US and European customers. One factory in particular, called “JinSu”, stood out above the rest thanks to their cooperative attitude, competitive pricing, experienced management, short lead times and sense of quality. In 2002, through a capital injection PassageMaker took an ownership stake in JinSu, forming the PassageMaker-JinSu Joint Venture (JV). Consolidating our orders and providing investment capital allowed the JV to purchase new equipment and expand operations for metal stamping, injected plastics and a tool & die shop. The JV eventually outgrew its original facilities in late 2004. In May of 2005, manufacturing operations were consolidated to a new facility in the SongShanHu Development Zone in Dongguan, China. CNC machines were added and dedicated assembly lines were introduced to service key customers. With metal fabrication, plastic injection, and a tool shop under one roof, the enterprise increased production efficiency and advanced its ability to control overall quality, security and shorten lead times. In early 2006, ISO 9001-2000 was achieved at the Dongguan facility. In early 2006, our precision assembly center was opened in Shenzhen. This facility is 100% under US ownership and focused on “white glove” contract assembly / contract packaging of quality intensive product. It has a clean room at the heart of its operations to meet the requirements of even our most quality conscious customers. Authorized by the Chinese government to process Value Added Tax (VAT) rebates in China. These allow us to avoid all middlemen and ensure our pricing to customer receives the maximum amount of VAT rebate in China possible. In some cases, up to 15%, depending on product classification! saw a spike in the number of PassageMaker-Client Joint Ventures formalized and under discussion. When the value of goods purchased is large enough, setting up a dedicated factory in China may be a consideration. Especially if issues of quality, design security and brand control are paramount. However, the setting up your own operations in China can be intimidating, especially for those businesses which are new to China. So for our clients that want greater control over the production process, and wish to avoid the headaches associated with “going it alone” in China, PassageMaker leverages its existing business infrastructure and proven China track record to facilitate the formation of, and oversee the operations of the JV factory in China. In March 2007, our main administration office moved from Yijing Gardens in Shenzhen to the LianTang district of Shenzhen near the border with Hong Kong and close to the key port of Yantian. The move doubled our usable office space and allowed us to nearly triple our front office staff. In November 2007 we consolidated ownership by buying out our local partners. General assembly was moved out of the Dongguan JV to a new and larger facility in Shenzhen to meet the needs of our growing client base. 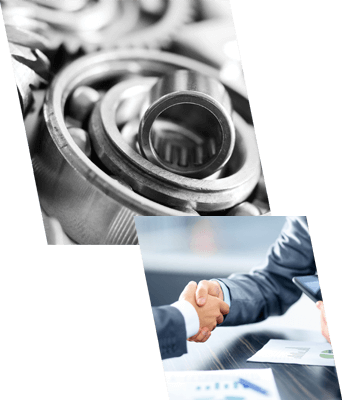 This general assembly / inspection center is now 100% under US ownership and providing contract assembly, contract packaging and contract inspection services to some of the world’s most famous supply chains. 2008 & 2009 saw the expansion of our sourcing operations into the greater Shanghai region with boots on the ground in Jiangsu. In the following months we set up full time Vendor Coordination staff in Zhejiang and Fujian. 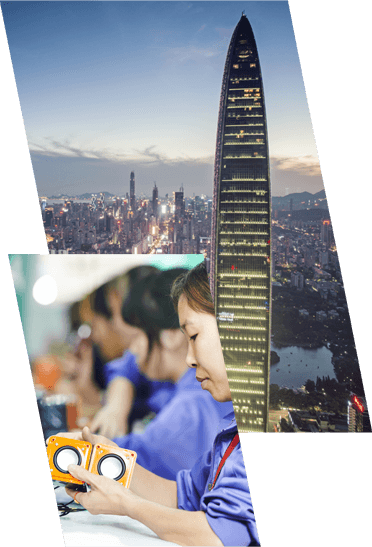 These staff provide supplier identification, vendor coordination, auditing and inspection services for our clients who have suppliers in the Yangtze River Delta of East China. PassageMaker founder, Mike Bellamy, took a sabbatical from work for 3 months in 2010 to complete the manuscript of a book about China. 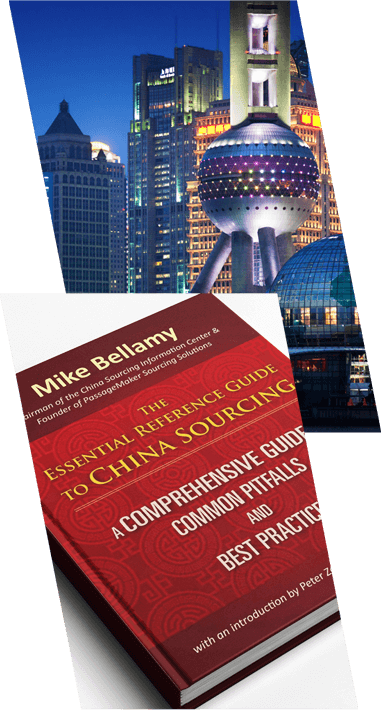 In April 2011, his 300 page “Essential Reference Guide to China Sourcing” went to print and is available on Amazon. While the services provided by PassageMaker, far outweigh the fees charged, not every prospective client, especially smaller companies or entrepreneurs, have the initial budget to hire professional service providers. Therefore his goal in writing the book was to provide buyers large and small with an affordable and easy to understand guide to sourcing. 2011 sales revenue broke through the 20 million USD per year level and the value of Purchase Orders managed by PassageMaker was estimated at over 200 million USD. 2012 saw a marked increase in the number of clients who wish to not only manufacturer in, but also sell to China. To support this effort, PassageMaker not only has import-export rights, but we also deliver to China based customers of our clients, provide official receipts and collect payment in local currency. 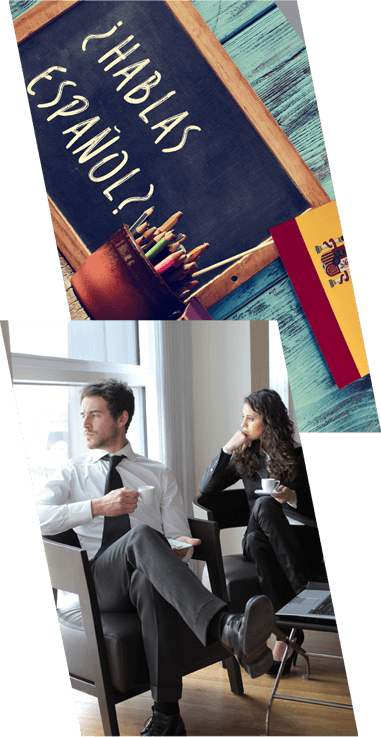 For our clients in the Spanish speaking world, as of June 2012, PassageMaker offers project management service in Spanish utilizing native speakers based in our Shenzhen office. In 2012 our founder Mike Bellamy and the advisory board laid out a multi-year transition plan to turn the day-to-day management of PassageMaker over to a group of professional managers. At the end of 2013 we doubled our front office space by expanding into the area next door. The new space allows for more sample storage, a dedicated room for our Spanish speaking account managers, a full kitchen & lounge, weight room, a recreation area (inclusive of billiards, darts, football) plus a digital projector system for movie nights and training activities. In 2014 we added native speakers of French, Portuguese and Russian to our sales and customer service teams in China. Clients may select English, Spanish, Portuguese, French, Russian (list is expanding) as the language of communication with PassageMaker. This includes not only the verbal communications for weekly updates and conference calls, but also extends to the language used for the complex terms found in the marketing message and service contracts. On January 4th, PassageMaker broke ground on a new factory & office space in the PingDi district of Shenzhen in the summer of 2016. This new facility houses our virtual factory and virtual office clients. Here are some highlights: 1. Located in Shenzhen’s only low carbon industrial zone. The facility takes advantage of solar and wind power. The first of its kind in South China! 2. The low carbon area and greenbelt is designed to reduce pollution and provide a better environment for your staff and their families. 3. Serviced by new 6 lane highway that connects the zone to the sea ports and airport. A trip that took 2 hours now takes 20 minutes. 4. The new facility will meet or exceed all of PassageMaker’s current accreditations for ISO, Quality System, Workplace Safety, Environmental Protection and Social Compliance. From day one, the ability to offer “trust and transparency” to our customers has set PassageMaker apart from the field. Trust: Absolute confidentiality with client information is key to the way PassageMaker operates. The client’s design specifications, tooling, and brand imagery are respected and kept in a secure environment. Our customers sleep well at night knowing their product is in good hands in China. Transparency: There are no hidden middlemen. This factory direct relationship facilitated by PassageMaker fosters better communication, shorter lead times, competitive pricing and direct accountability for quality and service. And in the case of PassageMaker, to further simplify the process, the managers on-the-ground in China are American or European!